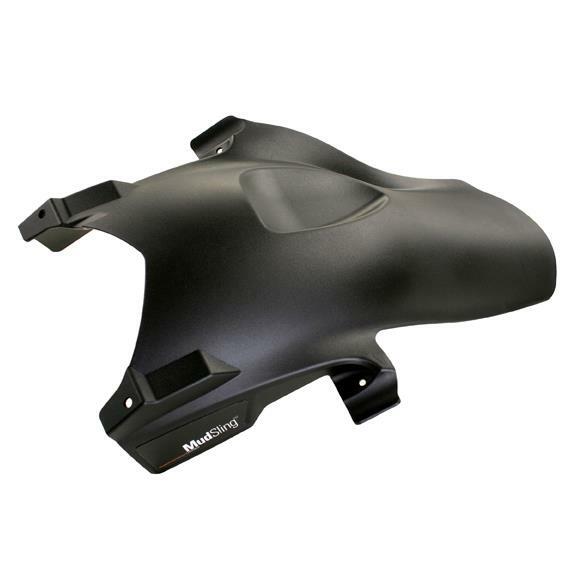 Frenchtown, New Jersey, U.S.A. – MachineartMoto, designers of specialized products for BMW motorcycles, introduce an all new MudSling™ rear fender for the BMW R1200GS. 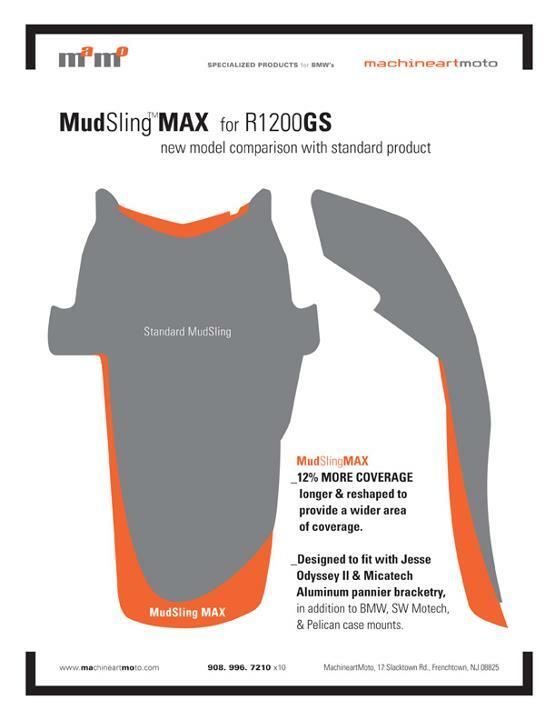 The MudSlingMAX design adds new benefits to the successful MudSling™ formula originally introduced in 2007. 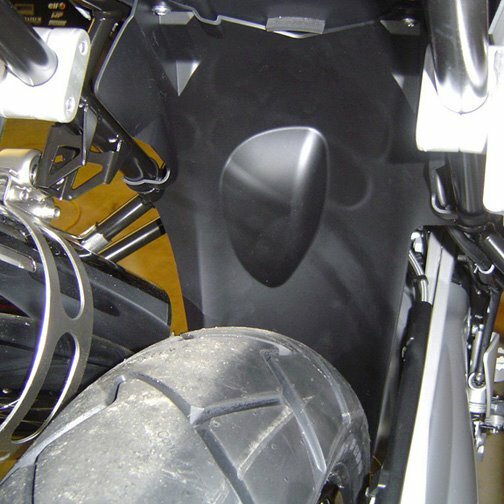 Fitting in between the rear shock and tire, it deflects mud, water, and rocks away from the suspension, battery area and rider to prevent damage and keep the rear of the bike cleaner. MudSling MAX is re-shaped to be longer and wider with 12% more surface area for even better splash coverage than the original MudSling™. 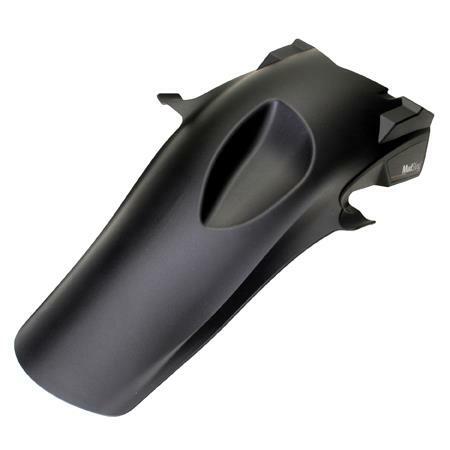 It is designed to fit with Jesse Odyssey II and Micatech aluminum pannier mounting brackets in addition to standard BMW and aftermarket side cases from SW Motech and Pelican. MudSlingMAX fits with both standard and ESA suspension. “Our policy is to constantly improve the functionality of our products while broadening their appeal through customer feedback. We designed the MAX to meet the needs of customers who own aftermarket aluminum cases, and that added feature distinguishes it in the market”, says Andrew Serbinski, Principal Designer and President of Machineart. “If a rider has invested in an expensive aftermarket shock or the ESA option, the extra coverage area of the MudSling™MAX is its best protection”. 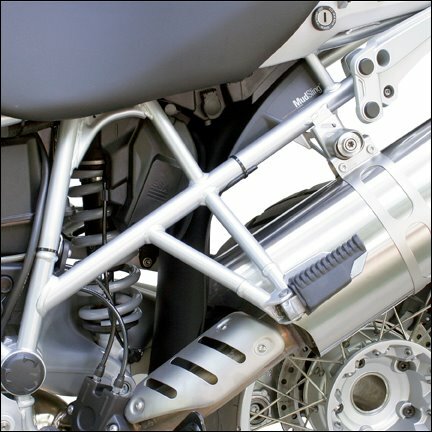 Machineart Moto products are sold through its online store www.machineartmoto.comand through BMW and independent dealers, and distributors outside of the USA.